Next generation developers must be familiar with mainframes and know how to apply their skillset to maintain and improve legacy code. Maintaining a differentiated digital customer experience is no cakewalk, and organizations have gone to great lengths to identify practices that expand our capacity to innovate. Take for example low code development, which has greatly opened the playing field by allowing individuals with no traditional programming skills to contribute meaningfully to the innovation value stream. While new methods for driving innovation continue to emerge, one true constant in this evolution is the principle of advancing change through data insights – from the first recommendation engines pioneered by digital giants like Netflix and Amazon, to new approaches of interpreting and visualizing data that allowed households across the nation to experience every facet of a highly tumultuous 2016 US presidential election. With 80 percent of transactional data residing on the mainframe, many organizations that host customer-facing features on mobile, cloud and distributed platforms are still very much dependent on mainframe for delivering a digital experience that is tuned to the needs of its customers. 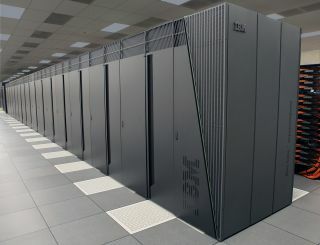 Yet most application development teams are finding that even small changes to mainframe applications take 8-12 weeks to build, test and deploy into a production environment. Those who succeed do so by seamlessly integrating their system of record into their end-to-end application development, test and delivery strategy. Recently at SHARE Sacramento CA DevOps experts discussed how organizations must adapt mainframe strategies to achieve a seamless end-to-end vision. Put simply, you must address the elephant in the room – onboarding a new generation to take on the mantle of seasoned mainframers who are retiring in increasing numbers. The solution is not as simple as imparting a wealth of tribal knowledge through tried and true talent development practices like longitudinal training, structured mentoring or career development seminars. With only 7 percent of the current mainframe developer workforce under 30, organizations must first find ways to pierce the outdated perceptions surrounding mainframe application development and showcase the value and opportunity of working with COBOL applications to the next generation of millennials and Gen Z programmers. Enticing this next generation will take much more than incremental improvements to the developer experience, and requires a change initiative that begins from the top. As CIOs strategize how to utilize mainframe alongside its mobile, cloud and distributed counterparts, so must application development leaders furnish a common set of capabilities for teams to use cross-enterprise in delivering uncommon results. The end result for developers is that interacting with mainframe feels no different than with any other platform. To successfully incorporate mainframe applications into existing workflows, next generation developers not only must be educated on the virtues of the platform, e.g. superior reliability, security and performance, but also convinced that they can apply their existing skillset around coding, tooling and processes toward maintaining and improving legacy code. This new band of digital transformation heroes will not simply be satisfied with a revamped UI that improves upon the green screen. The end-to-end experience must feel as seamless as the developer workflows for other enterprise platforms. The first step is to build greater automation into your lifecycle approach. Next generation developers will immediately lose interest in leveraging mainframe if performing common steps within the lifecycle require an inordinate number of manual procedures. For example, if submitting a build to a CI / CD pipeline can be simplified to a click of a button in a mobile developer workflow, there is no excuse for the same convenience not to exist for mainframe. Over time, greater automation drives integration as each cross-functional, multi-platform dependency is masked into simple commands that cover everything from the provisioning of production-like test environments to running system integration and performance tests. Automating simple, but manual tasks is so critical, and the benefits are not limited to improved team productivity. Cataloguing and automating the use of assets such as REXX and JCL scripts that were built and refined over the years are also a means to codify valuable mainframe expertise. Overall, only when automation drives integration can organizations realize the degree of end-to-end visibility that enable insights from customer data to flow through into new digital experiences. Ask any organization operating in the EU on what keeps them up at night and undoubtedly the impending May 25th go-live date for GDPR comes immediately to mind. GDPR and other regulations that govern the use of personal data highlight another important use case for automation, and that is the ability to apply at scale techniques such as data masking and synthetic data generation that enable your end-to-end lifecycle approach to become compliant with emerging data privacy and security regulations. Altogether, automation is the yellow brick road organizations follow to reach an Emerald City where all customers experience a personalized and delightful application experience. It enables enterprise teams to integrate mainframe into end-to-end application development, testing and delivery, and moreover, to be compliant when foraying their system of record for the precious data that have become the cornerstones for building the next big business success. Our vision is to support organizations through their journey in Oz by helping them enable continuous testing and quality as part of an agile, iterative lifecycle approach for continuous software release and deployment, and as such I am happy to share that CA Technologies has been named a leader in the IDC MarketScape: Worldwide Software Quality Analysis and Measurement 2017-2018 Vendor Assessment – Uniting Quality with Security for DevSecOps (doc #US41601217, December 2017) for a portfolio of products that includes mainframe testing solutions CA Application Lifecycle Conductor, CA InterTest, CA SymDump, CA Mainframe Application Tuner and CA Verify. Indeed, a whole lifecycle of development, testing and delivery functions spanning multiple platforms make for a messy puzzle, but there are new innovations available that help make this journey a whole lot easier and just might help you avoid the wicked witch and flying monkeys!